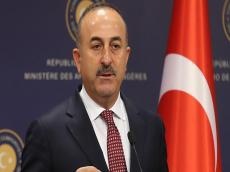 Turkey has condemned US intention to recognize Golan Heights as part of Israel, Turkish Foreign Minister Mevlut Chavushoglu said. Chavushoglu noted that territorial integrity is a fundamental principle of international law. "Attempts by the United States to legitimize Israel’s actions against international law will only lead to more violence in the region," the Turkish Foreign Minister said. He also added that Turkey supports the territorial integrity of Syria. Earlier, US President Donald Trump said it was time to back Israeli sovereignty over the Golan Heights.